“When you die, the last thing you want to do is leave your grieving friends and family with a bunch of legal issues to battle during an already awful time,” said Kristin Wong in Lifehacker.com. Unpleasant as it may be to think about now, you need a last will and testament spelling out what should happen to your assets after you die. If your financial situation is relatively simple, you can write your own will using an online template or a service like Willing, RocketLawyer, or LegalZoom. These sites ask basic questions “about who gets your assets, how you’d like to be buried, and any final wishes you might have” to automatically generate a will, either for free or a small charge, depending on your situation. 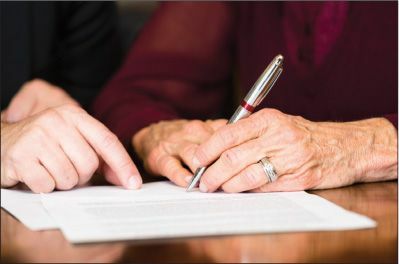 You don’t have to have the will notarized, but for it to be legally binding, it must be signed by you and two witnesses who aren’t listed as beneficiaries. After that, “you can just print and file.” You’ll be glad you did. Do-it-yourself estate planning “may work well for people with uncomplicated estates who don’t require trust or tax planning,” said Cheryl Winokur Munk in The Wall Street Journal. But even then, it’s worth spending a few hundred dollars to have an estate-planning attorney at least look over your documents. “Many do-it-yourselfers overlook seemingly small things—like not naming a contingent executor or beneficiary— that can become problems if not addressed.” An experienced lawyer will be able to catch any mistakes or omissions you made in the drafting process. People with “morecomplicated assets, complex family situations, or other out-of-the-ordinary circumstances” are better off involving an attorney from the very beginning.